A Supreme Court bench comprising of Chief Justice H.L. Dattu, Justice Madan B. Lokur and Justice A.K. Sikri dismissed the plea of S. Nalini, convicted with life imprisonment in the Rajiv Gandhi assassination case. She had challenged Section 435(1) of the Criminal Procedure Code which mandates the state government to consult the Centre before premature release of a convict if the case was investigated by the CBI. 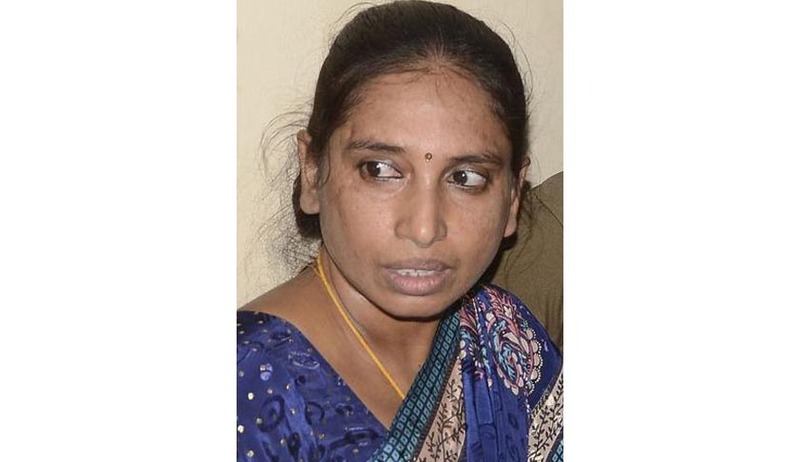 Her petition contended, "Though 2200 life convicts who had put in less than 10 years of imprisonment were prematurely released by the Tamil Nadu Government during the last about 15 years, she was excluded from consideration for premature release only on the ground that her offence was investigated by the CBI i.e. her case was covered by Section 435(1) (a) Cr.P.C. The said section is unconstitutional.” Read the Live Law story here. Nalini is currently lodged in the Vellore Central Prison in Tamil Nadu. Three other convicts Robert Pious, Jayakumar and Ravichandran are undergoing life sentence for their role in the assassination carried out on May 21, 1991 in Sriperumbudur. On February 18 the Supreme Court has granted relief to the three convicts in the Rajiv Gandhi assassination case, Murugan, Santhan and Perarivalan, by commuting their death sentence into life term on the grounds that the 11-year delay in deciding their mercy petition by the Central government had a dehumanizing effect on them. Read the LiveLaw story here. The court had on February 20 stayed the decision to release of three convicts–Murugan, Santhan and Arivu– whose death sentence was commuted to life term by it on February 18 in the case, saying there had been procedural lapses on the part of the state government on the decision to release them. The apex court later on had also stayed release of the other four convicts, Nalini, Robert Pious, Jayakumar and Ravichandran in the case. Read the LiveLaw story here.